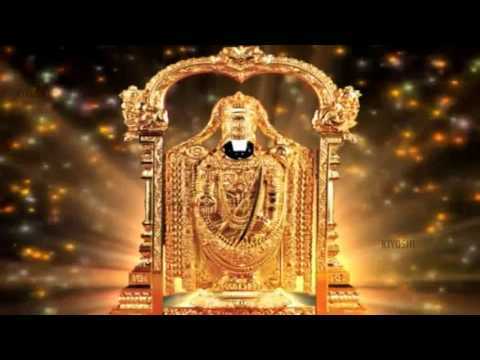 Om Venkateswara Namo Namah Tirupati Balaji Mantra....! ARE YOU READY FOR TRANSFORMATION OF YOUR LIFE ? LOOK NO FURTHER ! DHYAAANGURU DR. NIPUN AGGARWAL is a Humanitarian, Philanthropist, Mentor, Motivator, Doctor and a Spiritual Guide who has helped thousands over the years with Lectures and workshops on Self-Development, Meditation and Mantras. The healing mantras by Dhyaanguru are not just to provide spiritual benefits, but also to manifest in psycho-physiological healing. They work at the core level of the human system, DNA. The vibrations and frequencies of these powerful mantras have shown tremendous healing properties. Thousands of people have shared their success stories on Youtube. Let us join together to heal our Mind, Body and Soul with Dhyaanguru ! LEARN ABOUT DHYAANGURU DR. NIPUN AGGARWAL,MD : https://dhyaanguru.com/about-dhyaanguru/ FOLLOW THE LINKS BELOW TO CONNECT WITH DHYAANGURU : YOUR GUIDE TO SPIRITUAL HEALING ! WEBSITE : https://dhyaanguru.com/ FACEBOOK : https://www.facebook.com/dhyaanguru YOUTUBE : https://www.youtube.com/dhyaanguru LINKED-IN : https://www.linkedin.com/in/dhyaanguru PINTEREST : https://www.pinterest.com/dhyaanguru TWITTER : https://twitter.com/dhyaanguru DHYAANGURU CHARITY: https://dhyaanguru.com/dhyaanguru-charity/ SPEAKER/SINGER: DHYAANGURU DR. NIPUN AGGARWAL, MD, MBA, MHT ALL YOU NEED TO KNOW ABOUT MANTRAS : https://dhyaanguru.com/all-you-need-to-know-about-mantras/ COMPLETE COLLECTION OF MANTRAS : https://dhyaanguru.com/complete-mantra-collection/ LINKS TO DOWNLOAD MANTRAS : CDBVABY: http://www.cdbaby.com/Artist/NipunAggarwal ITUNES: https://itunes.apple.com/us/artist/nipun-aggarwal/id638183274 Email: dhyaanguruji@gmail.com ---------------------------------------------------------------------------------------------------------------------------------------------------------------------------------------------------------------------------------- MANTRA : OM SHRI VENKATESHWARAYE NAMAH Meaning : Salutations to Lord Venkateshwara According to the Puranas, the word "Venkata" means "destroyer of sins", deriving from the Sanskrit words vem (sins) and kata (power of immunity). PLAY IN THE BACKGROUND AT WORK OR HOME DAILY ! Goddess Lakshmi, also referred as Shri, once had a fight with Lord Vishnu and left Vaikunta. She came and settled on earth in disguise. Lord Vishnu soon arrived on earth searching for Goddess Lakshmi. But he failed to find her and instead settled on Tirumala hills in the form of a forest gatherer and continued the search. During the search, Lord Vishnu met a beautiful girl named Padmavathi (form of Laxmi), who was the daughter of the King of the seven hills in Tirumala. They both fell in love and decided to get married. The father of Padmavathi asked for a huge bridal price and to pay the money Lord Vishnu took a large loan from Kubera, the Hindu god who is the treasurer of wealth. Kubera gave the loan on the condition that Vishnu cannot return to Vaikunta (heavenly abode) without paying off the debt. 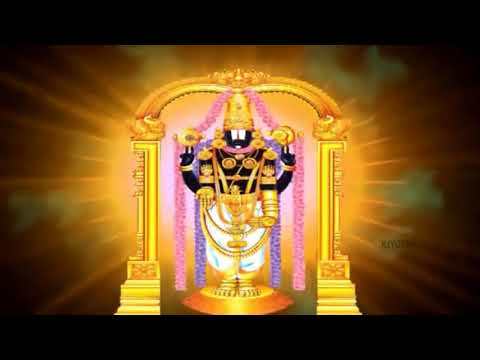 [ Lord Vishnu resides at Tirumala as Tirupati Venkateswara without returning to Vaikunta until the payment is made. To help him repay his debt, devotees offer him wealth and in return Lord Vishnu fulfills their prayers. Shree Tirupati Balaji " Om Venkateswara Namo Namah " New Devotional Video Mantra :- Welcome to Shiv Krupa finest destinations for exclusive Devotional content on YouTube. Faith, Religion, Devotion these are not just words, they are a way of life for most of us. In a multi cultural country like ours, we have believers and followers of different religions living together in harmony. To most of us, religion is what we practice or want to follow regularly; which is why our devotional channel caters to this very essential need. Ranging from Bhajans to Live Aarti, Bhaktisongs provides premium devotional content to a wide spectrum of audiences all over the world. Besides, it also offers a platform to listen to and dedicate religious musical content like Songs, Aartis, Bhajans, Chants, and a whole lot more. Uplift your soul with devotional songs, aartis, bhajans and shlokas from the holy land of India. Subscribe to Shiv Krupa. 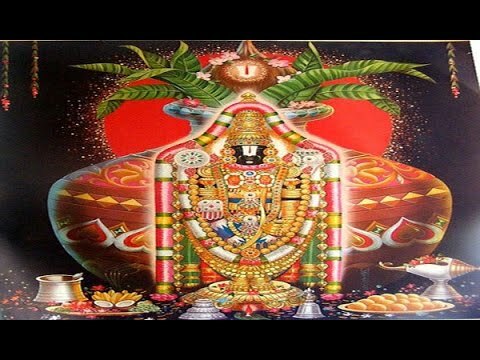 ॐ Venkateshwar Namo Namah | श्री तिरुपती बालाजी मंत्र | Shri Tirupati Balaji Mantra With Lyrics :- Lyrics : ॐ वेंकटेश्वर नमो नमः श्रीमन नारायण नमो नमः तिरुमल तिरुपति नमो नमः जय बालाजी नमो नमः Om Venkateshwar Namo Namah Shreeman Narayan Namo Namah Tirumal Tirupati Namo Namah Jay Balaji Namo Namah __________ Mantras, Bhajans, Songs, Devotional, Bhagwan, Sai Baba, Shankar, Shiv, Lord, Ram, Sita, Hanuman, Krishana, Chalisa, Bhakti, God, Goddess, Dhun, Sotatras, Chants, Laxmi, Saraswati, Parvati, Ganpati, Ganesh, Gayatri, Vishnu, Narayan, Latest, Popular Songs Song Hindi Chalisa Mantra Mantras Aarti Bhajan Devotional Hit Music Download Best Original Latest New Exculsive Prayers Gayatri Mahalakshmi Krishna Hanuman God Godess Bhakti Aartis Bhajans Chants Chauki Jagran Sanskrit Divine Famous Om Shiv Ram Mata Mataji Welcome to finest destinations for exclusive Devotional content on YouTube. Faith, Religion, Devotion these are not just words, they are a way of life for most of us. In a multi cultural country like ours, we have believers and followers of different religions living together in harmony. To most of us, religion is what we practice or want to follow regularly; which is why our devotional channel caters to this very essential need. Ranging from Bhajans to Live Aarti, Bhaktisongs provides premium devotional content to a wide spectrum of audiences all over the world. Besides, it also offers a platform to listen to and dedicate religious musical content like Songs, Aartis, Bhajans, Chants, and a whole lot more. Uplift your soul with devotional songs, aartis, bhajans and shlokas from the holy land of India. Subscribe to Shiv Mahima Channel. 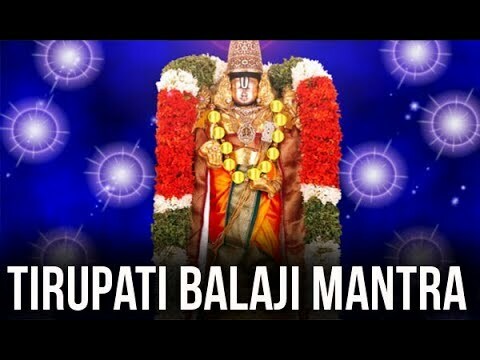 Om Venkateswara Namo Namah | Shree Tirupati Balaji Mantra :- Welcome to BhaktiGiri finest destinations for exclusive Devotional content on YouTube. Faith, Religion, Devotion these are not just words, they are a way of life for most of us. In a multi cultural country like ours, we have believers and followers of different religions living together in harmony. To most of us, religion is what we practice or want to follow regularly; which is why our devotional channel caters to this very essential need. Ranging from Bhajans to Live Aarti, Bhaktisongs provides premium devotional content to a wide spectrum of audiences all over the world. Besides, it also offers a platform to listen to and dedicate religious musical content like Songs, Aartis, Bhajans, Chants, and a whole lot more. Uplift your soul with devotional songs, aartis, bhajans and shlokas from the holy land of India. Subscribe to BhaktiGiri Channel. Welcome to finest destinations for exclusive Devotional content on YouTube. Faith, Religion, Devotion these are not just words, they are a way of life for most of us. In a multi cultural country like ours, we have believers and followers of different religions living together in harmony. To most of us, religion is what we practice or want to follow regularly; which is why our devotional channel caters to this very essential need. Ranging from Bhajans to Live Aarti, Bhaktisongs provides premium devotional content to a wide spectrum of audiences all over the world. Besides, it also offers a platform to listen to and dedicate religious musical content like Songs, Aartis, Bhajans, Chants, and a whole lot more. Uplift your soul with devotional songs, aartis, bhajans and shlokas from the holy land of India. Subscribe Indian Devotional Songs Channel. Welcome to finest destinations for exclusive Devotional content on YouTube. Faith, Religion, Devotion these are not just words, they are a way of life for most of us. In a multi cultural country like ours, we have believers and followers of different religions living together in harmony. To most of us, religion is what we practice or want to follow regularly; which is why our devotional channel caters to this very essential need. Ranging from Bhajans to Live Aarti, Bhaktisongs provides premium devotional content to a wide spectrum of audiences all over the world. Besides, it also offers a platform to listen to and dedicate religious musical content like Songs, Aartis, Bhajans, Chants, and a whole lot more. Uplift your soul with devotional songs, aartis, bhajans and shlokas from the holy land of India. Subscribe to Our Channel. Welcome to finest destinations for exclusive Devotional content on YouTube. Faith, Religion, Devotion these are not just words, they are a way of life for most of us. In a multi cultural country like ours, we have believers and followers of different religions living together in harmony. To most of us, religion is what we practice or want to follow regularly; which is why our devotional channel caters to this very essential need. Ranging from Bhajans to Live Aarti, Bhaktisongs provides premium devotional content to a wide spectrum of audiences all over the world. Besides, it also offers a platform to listen to and dedicate religious musical content like Songs, Aartis, Bhajans, Chants, and a whole lot more. Uplift your soul with devotional songs, aartis, bhajans and shlokas from the holy land of India. Subscribe to Utsav Channel. 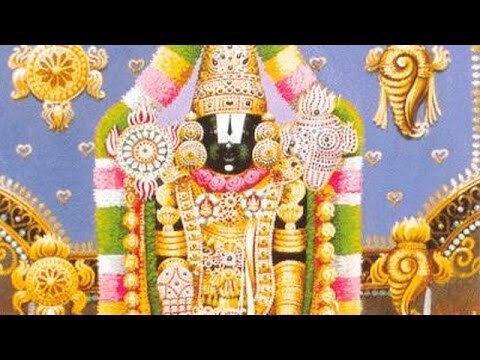 Om Venkateswara Namo Namah || Most Popular Shree Tirupati Balaji Mantra || Hindi Devotional Song :- Welcome to finest destinations for exclusive Devotional content on YouTube. Faith, Religion, Devotion these are not just words, they are a way of life for most of us. In a multi cultural country like ours, we have believers and followers of different religions living together in harmony. To most of us, religion is what we practice or want to follow regularly; which is why our devotional channel caters to this very essential need. Ranging from Bhajans to Live Aarti, Bhaktisongs provides premium devotional content to a wide spectrum of audiences all over the world. Besides, it also offers a platform to listen to and dedicate religious musical content like Songs, Aartis, Bhajans, Chants, and a whole lot more. Uplift your soul with devotional songs, aartis, bhajans and shlokas from the holy land of India. Subscribe to AsBhakti Channel. 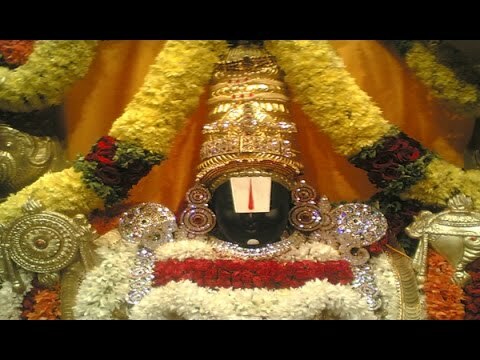 Lord Tirupati Balaji Mantra | Om Venkateswara Namo Namah | Tirupati Balaji Mantra :- Welcome to finest destinations for exclusive Devotional content on YouTube. Faith, Religion, Devotion these are not just words, they are a way of life for most of us. In a multi cultural country like ours, we have believers and followers of different religions living together in harmony. To most of us, religion is what we practice or want to follow regularly; which is why our devotional channel caters to this very essential need. Ranging from Bhajans to Live Aarti, Bhaktisongs provides premium devotional content to a wide spectrum of audiences all over the world. Besides, it also offers a platform to listen to and dedicate religious musical content like Songs, Aartis, Bhajans, Chants, and a whole lot more. Uplift your soul with devotional songs, aartis, bhajans and shlokas from the holy land of India. Subscribe to Our Channel. 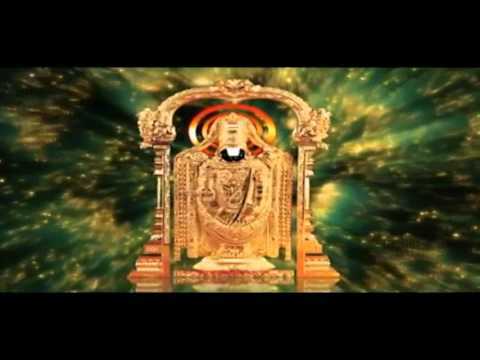 Om Venkateswara Namo Namah | Lord Tirupati Balaji Mantra Lyrics : ॐ वेंकटेश्वर नमो नमः श्रीमन नारायण नमो नमः तिरुमल तिरुपति नमो नमः जय बालाजी नमो नमः Om Venkateshwar Namo Namah Shreeman Narayan Namo Namah Tirumal Tirupati Namo Namah Jay Balaji Namo Namah __________ Welcome to finest destinations for exclusive Devotional content on YouTube. Faith, Religion, Devotion these are not just words, they are a way of life for most of us. In a multi cultural country like ours, we have believers and followers of different religions living together in harmony. To most of us, religion is what we practice or want to follow regularly; which is why our devotional channel caters to this very essential need. Ranging from Bhajans to Live Aarti, Bhaktisongs provides premium devotional content to a wide spectrum of audiences all over the world. Besides, it also offers a platform to listen to and dedicate religious musical content like Songs, Aartis, Bhajans, Chants, and a whole lot more. Uplift your soul with devotional songs, aartis, bhajans and shlokas from the holy land of India. Subscribe to Our Channel. 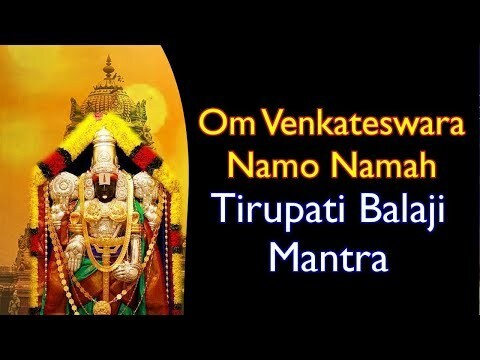 Mantra To Remove Negative Energy | Venkateswara Balaji Mantra | Om Venkateswara Namo Namah Lyrics : ॐ वेंकटेश्वर नमो नमः श्रीमन नारायण नमो नमः तिरुमल तिरुपति नमो नमः जय बालाजी नमो नमः Om Venkateshwar Namo Namah Shreeman Narayan Namo Namah Tirumal Tirupati Namo Namah Jay Balaji Namo Namah __________ Welcome to finest destinations for exclusive Devotional content on YouTube. Faith, Religion, Devotion these are not just words, they are a way of life for most of us. In a multi cultural country like ours, we have believers and followers of different religions living together in harmony. To most of us, religion is what we practice or want to follow regularly; which is why our devotional channel caters to this very essential need. Ranging from Bhajans to Live Aarti, Bhaktisongs provides premium devotional content to a wide spectrum of audiences all over the world. Besides, it also offers a platform to listen to and dedicate religious musical content like Songs, Aartis, Bhajans, Chants, and a whole lot more. Uplift your soul with devotional songs, aartis, bhajans and shlokas from the holy land of India. Subscribe to Our Channel. Welcome to finest destinations for exclusive Devotional content on YouTube. Faith, Religion, Devotion these are not just words, they are a way of life for most of us. In a multi cultural country like ours, we have believers and followers of different religions living together in harmony. To most of us, religion is what we practice or want to follow regularly; which is why our devotional channel caters to this very essential need. Ranging from Bhajans to Live Aarti, Bhaktisongs provides premium devotional content to a wide spectrum of audiences all over the world. Besides, it also offers a platform to listen to and dedicate religious musical content like Songs, Aartis, Bhajans, Chants, and a whole lot more. Uplift your soul with devotional songs, aartis, bhajans and shlokas from the holy land of India. Subscribe to ChalisaBhakti Channel. 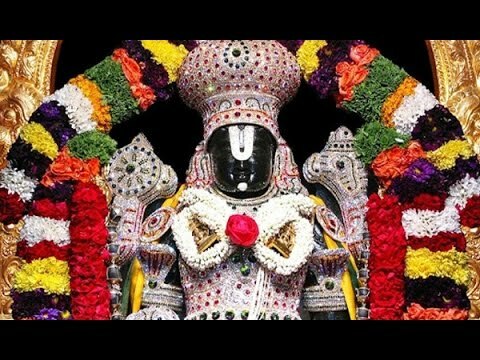 Om Venkateswara Namo Namah | Tirumala Balaji Mantra | Popular Mantra Lyrics : ॐ वेंकटेश्वर नमो नमः श्रीमन नारायण नमो नमः तिरुमल तिरुपति नमो नमः जय बालाजी नमो नमः Om Venkateshwar Namo Namah Shreeman Narayan Namo Namah Tirumal Tirupati Namo Namah Jay Balaji Namo Namah #Bhakti_Namaskra Welcome to finest destinations for exclusive Devotional content on YouTube. Faith, Religion, Devotion these are not just words, they are a way of life for most of us. In a multi cultural country like ours, we have believers and followers of different religions living together in harmony. To most of us, religion is what we practice or want to follow regularly; which is why our devotional channel caters to this very essential need. Ranging from Bhajans to Live Aarti, Bhaktisongs provides premium devotional content to a wide spectrum of audiences all over the world. Besides, it also offers a platform to listen to and dedicate religious musical content like Songs, Aartis, Bhajans, Chants, and a whole lot more. Uplift your soul with devotional songs, aartis, bhajans and shlokas from the holy land of India. Subscribe to Our Channel. 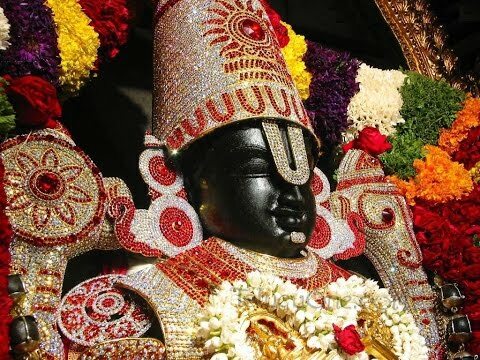 Most Powerful Mantra Of Tirupati Balaji | Om Venkateswara Namo Namah | bhakti song :- Welcome to finest destinations for exclusive Devotional content on YouTube. Faith, Religion, Devotion these are not just words, they are a way of life for most of us. In a multi cultural country like ours, we have believers and followers of different religions living together in harmony. To most of us, religion is what we practice or want to follow regularly; which is why our devotional channel caters to this very essential need. Ranging from Bhajans to Live Aarti, Bhaktisongs provides premium devotional content to a wide spectrum of audiences all over the world. Besides, it also offers a platform to listen to and dedicate religious musical content like Songs, Aartis, Bhajans, Chants, and a whole lot more. Uplift your soul with devotional songs, aartis, bhajans and shlokas from the holy land of India. Subscribe to PlayBhakti Channel. 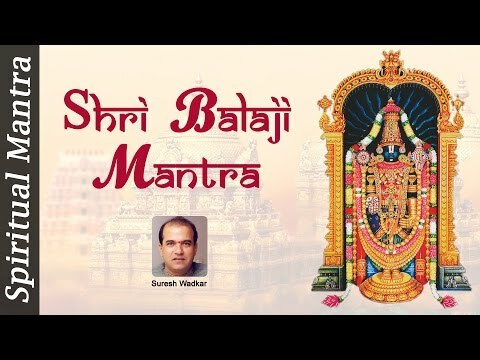 Om Venkateswara Namo Namah | Shree Balaji Mantra | Sacred Mantra Lyrics : ॐ वेंकटेश्वर नमो नमः श्रीमन नारायण नमो नमः तिरुमल तिरुपति नमो नमः जय बालाजी नमो नमः Om Venkateshwar Namo Namah Shreeman Narayan Namo Namah Tirumal Tirupati Namo Namah Jay Balaji Namo Namah __________ Welcome to finest destinations for exclusive Devotional content on YouTube. Faith, Religion, Devotion these are not just words, they are a way of life for most of us. In a multi cultural country like ours, we have believers and followers of different religions living together in harmony. To most of us, religion is what we practice or want to follow regularly; which is why our devotional channel caters to this very essential need. Ranging from Bhajans to Live Aarti, Bhakti songs provides premium devotional content to a wide spectrum of audiences all over the world. Besides, it also offers a platform to listen to and dedicate religious musical content like Songs, Aartis, Bhajans, Chants, and a whole lot more. Uplift your soul with devotional songs, aartis, bhajans and shlokas from the holy land of India. Subscribe to our Channel. 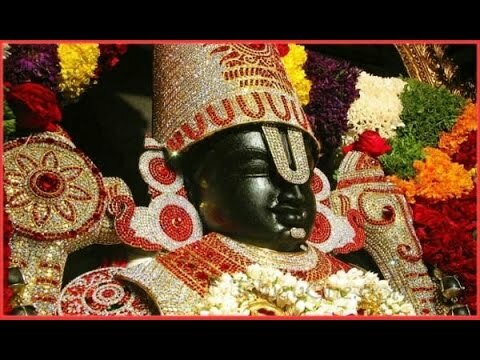 Shree Tirupati Balaji Mantra || Om Venkateswara Namo Namah || Beautiful Devotional Mantra :- Welcome to finest destinations for exclusive Devotional content on YouTube. Faith, Religion, Devotion these are not just words, they are a way of life for most of us. In a multi cultural country like ours, we have believers and followers of different religions living together in harmony. To most of us, religion is what we practice or want to follow regularly; which is why our devotional channel caters to this very essential need. Ranging from Bhajans to Live Aarti, Bhaktisongs provides premium devotional content to a wide spectrum of audiences all over the world. Besides, it also offers a platform to listen to and dedicate religious musical content like Songs, Aartis, Bhajans, Chants, and a whole lot more. Popular, Songs, Song, Hindi, Chalisa, Mantra, Mantras, Aarti, Bhajan, Devotional, Hit, Music, Download, Best, Original, Latest, New, Exculsive, Prayers, Gayatri, Mahalakshmi, Krishna, Hanuman, God, Godess, Bhakti, Songs, Aartis, Bhajans, Chants, Prayers, Best, Original, Latest, New, Chauki, Jagran, Bhakti, Sanskrit, Divine, Mantra, Mantras, Chalisa, Devotional, Famous, Om, Shiv, Krishna, Hanuman, Ram, Mata, Mataji. Uplift your soul with devotional songs, aartis, bhajans and shlokas from the holy land of India. Subscribe to BhaktiBhakti Channel. Lyrics : ॐ वेंकटेश्वर नमो नमः श्रीमन नारायण नमो नमः तिरुमल तिरुपति नमो नमः जय बालाजी नमो नमः Om Venkateshwar Namo Namah Shreeman Narayan Namo Namah Tirumal Tirupati Namo Namah Jay Balaji Namo Namah __________ Welcome to finest destinations for exclusive Devotional content on YouTube. Faith, Religion, Devotion these are not just words, they are a way of life for most of us. In a multi cultural country like ours, we have believers and followers of different religions living together in harmony. To most of us, religion is what we practice or want to follow regularly; which is why our devotional channel caters to this very essential need. Ranging from Bhajans to Live Aarti, Bhaktisongs provides premium devotional content to a wide spectrum of audiences all over the world. Besides, it also offers a platform to listen to and dedicate religious musical content like Songs, Aartis, Bhajans, Chants, and a whole lot more. Uplift your soul with devotional songs, aartis, bhajans and shlokas from the holy land of India. Subscribe to SanskarMagic Channel.